Welcome home to 3746 W. Palo Alto! Located on a large lot within a quiet gated community, this home offers peace & privacy. Inside the home, you will be greeted by new wood laminate flooring & fresh paint throughout. The grand family & dining room w/ high ceilings, perfect for entertaining. This room opens to the eat-in kitchen, featuring newer stainless steel appliances & granite countertops. French doors lead you to a formal living room for cozy evenings by the rustic brick fireplace. A sliding door takes you to the huge backyard w/ mature landscaping & a pool! . Newer window coverings & fans have been added & some rooms have updated carpet & baseboard. The large master suite includes a soaking tub in the bathroom & a secluded space, perfect for an office or nursery. A large, hallway bathroom upstairs can easily accommodate a family w/ its large vanity & double sinks. 2 patios, & a balcony as well as potential RV parking, are also featured! Find peace for your family in this home. 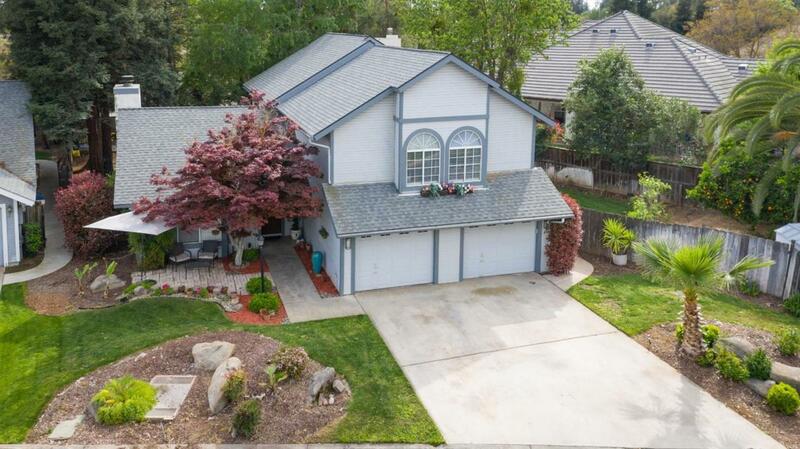 Listing provided courtesy of Darren Wade of Keller Williams Fresno.